~Gluten is a naturally occurring protein composite found primarily in wheat, rye and barley, as well as some types of oats. ~Corn, rice and certain types of oats do not contain gluten. ~People with Celiac disease do not interact well with gluten. Celiac disease is an autoimmune illness where consuming gluten damages the lining of the small intestine. ~Gluten is a common cause of vitamin B12 deficiency. 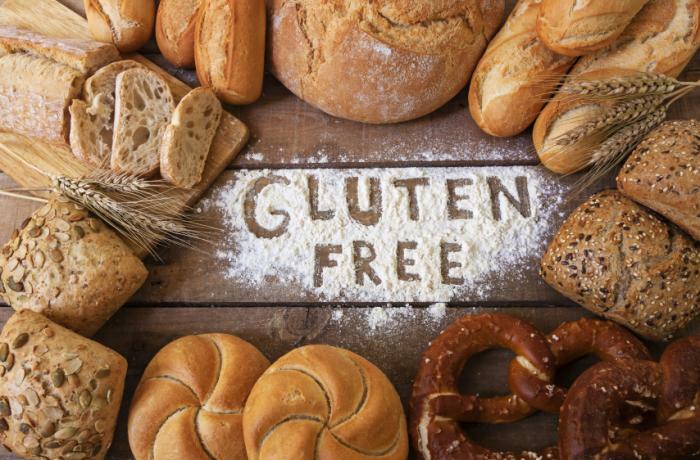 ~Excessive gluten consumption can cause both excessive weight gain or loss. 1808 Salmon Portland Chase was born. He was Secretary of the Treasury under Abraham Lincoln, and later Chief Justice. 1921 Pierre Franey was born. A French chef who became famous as the chef of ‘Le Pavillon’ restaurant in New York City from 1945 to 1960. He published several cookbooks and collaborated with Craig Claiborne on the New York Times food column, ‘The 60 Minute Gourmet’. 1957 The Frisbee was invented. The pie tins of the Frisbee Pie Company of Connecticut were the inspiration for the creation of the Frisbee. A Wham-O employee supposedly saw drivers for the pie company showing Yale students how to throw the pie tins. 1968 “I Heard It Through The Grapevine” by Gladys Knight & Pips is #1 on the charts. 2002 U.S. President George W. Bush fainted after choking on a pretzel while watching a football game on TV in the White House.